Using a MakerBot Replicator 2 printer, he collaborated with Ivan Owen to create a prosthetic finger after much trial and error. They’ve since printed hands for four South African children who lack fingers. The first was Liam, a 5-year-old boy withamniotic band syndrome, who was born without fingers on his right hand. 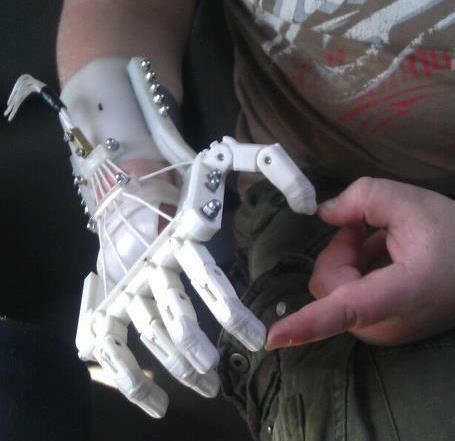 At the request of his mother, Van As and Owen produced Robohand, a low-cost, 3D-printed prosthetic.